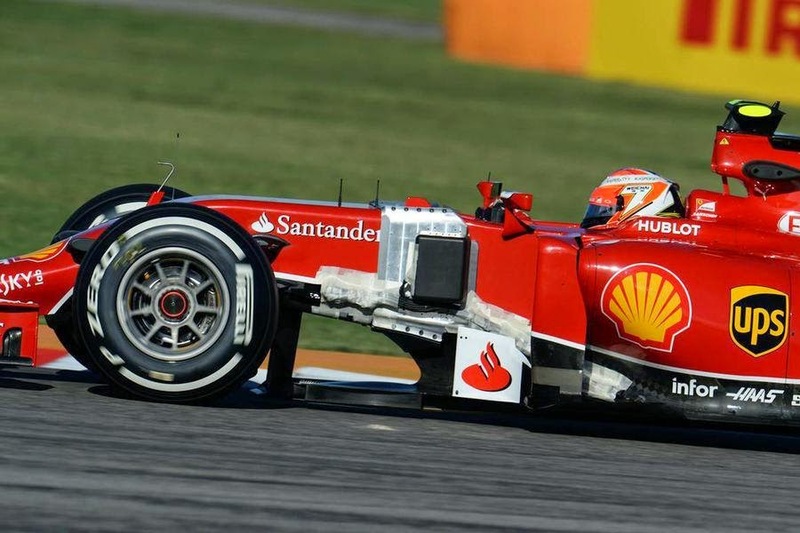 Ferrari's 2014 campaign has been less than satisfying for the fans and the team alike, in order that they rectify the F14T's deficiences the team have set about conducting various tests during Free Practice sessions in the last few rounds. 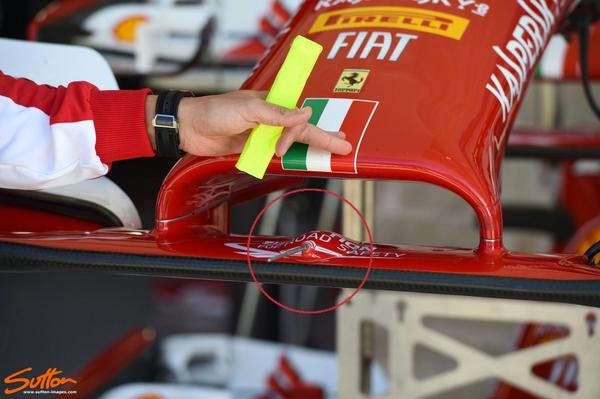 One issue for Ferrari has been traction, which of course limits peformance not only due to the initial induced traction loss but also the ongoing speed of the car. 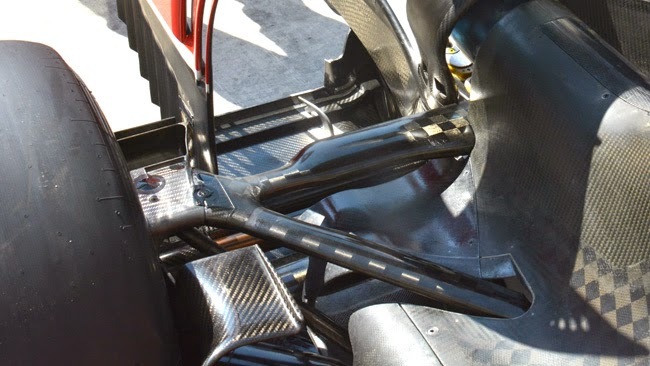 Kimi Raikonnen was tasked with assessing a new geometry in Austin (seen above, captured by Giorgio Piola for Omnicorse). The team were also interested in capturing numerous aerodynamic measurements from the car, with equipment placed up and down the F14T. 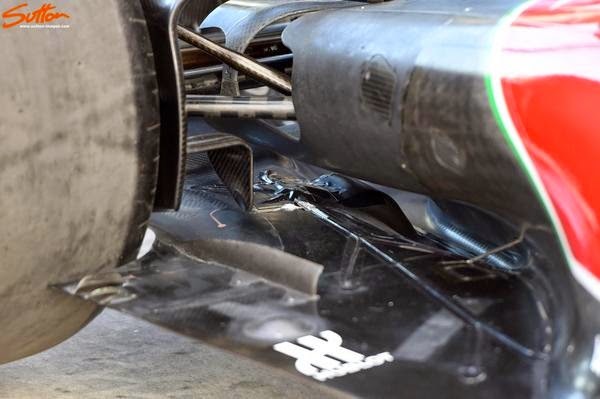 As you can see great care has been taken by the team to minimise the test components aero impact on the car itself, as normally full fence pitot tube arrays would be used instead. Moreover it appears the aperatus is mainly focused on ride height and the centre of the car, with the aero map being taken care of from front to rear by a plethora of measurement devices. Great info as always. 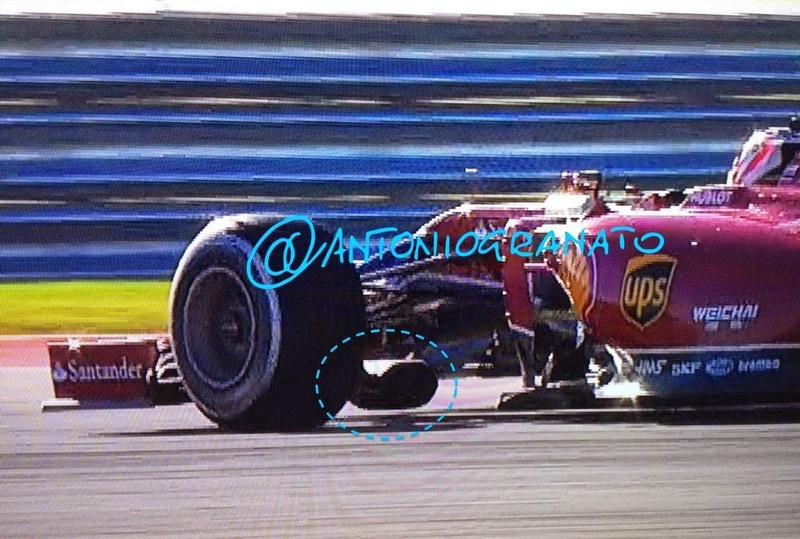 Alonso wasn't involved in testing the 2015 components, I guess? 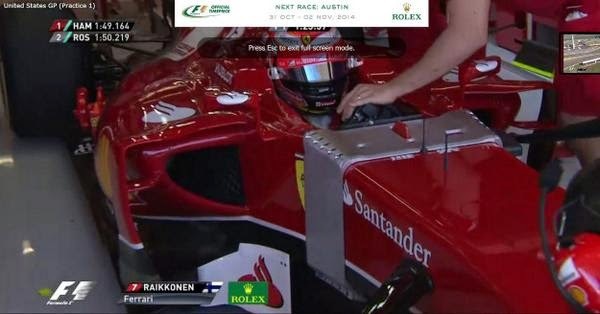 Indeed, only Kimi conducted the tests.